The release of new chrombook series from Acer is news because of the two “first times”. First time ever to see a Nvidia Tegra powered Chromebook and first time to see a 13 inch chromebook from Acer. The Nvidia Tegra processor indeed steals the spotlight in this launch. The laptop is powered with Nvidia Tegra K1 ARM A15 quadcore processor which is a battery saver and a top performer at the same time. This time we see a 192 core GPU which claims to deliver better graphics. The laptop weighs at 3.31 lb and has 0.7 inch thickness. We can see not one but four models from Acer in this stable. The Chromebook 13 CB5 311 T9B0, Chromebook 13 CB5 311 T9B0, Chromebook 13 CB5 311 T7NN and another Chromebook 13 for OEMs and students. 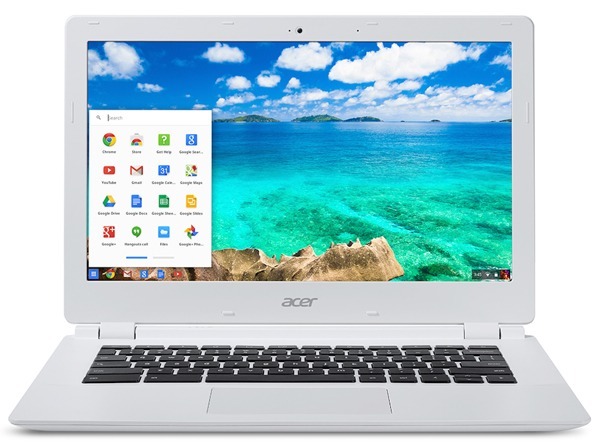 Chromebook 13 CB5 311 T9B0 has a 1920X1080 full HD display,2 GB RAM, 16 GB Solid state drive and priced at $299.99, Chromebook 13 CB5 311 TIUU has a 1920X1080 full HD display, 4 GB RAM, 32 GB Solid State Drive and priced at $379.99, Chromebook 13 CB5 311 T7NN has a 1366X768 display, 2 GB RAM, 16 GB solid state drive and priced at $279.99, and Chromebook 13 for OEMs and students has 1366X768 display, 4GB RAM, 16 GB Solid State Drive which is priced at $329.99. The Tegra K1 is a power efficient processor which gives long battery life. Nvidia designed it to be silent and slim, thanks to its fan less design all added up to give it portability. It’s faster than any other mobile processor available in the market and gives a seemless multi tasking experience. 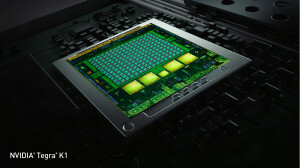 The close integration of Tegra processors with the GPU gives a better graphics. 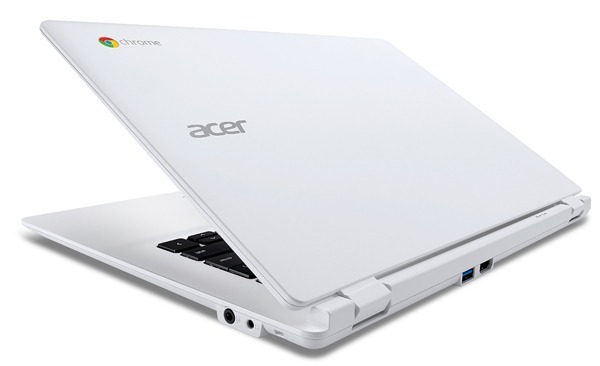 The idea of 13 inch laptop from Acer is to provide a full size keyboard and larger trackpad. The fanless design of the Chromebook makes it the thinnest one to be in the market. The prebooking of the model is now available at amazon.com and bestbuy.com. The models look really good in paper and give customers a choice to choose among different models whether they want the chromebook to be a performer or a battery saver. The price range also is versatile to choose from. The Tegra processors are expected to perform well as a chromebook as the processing power needed for chrome OS is bare minimum comparing with the others. Enough said the real performance can only be reviewed after the availability in the market.